Ask the FBGs: The Best Pure Cardio Workout DVDs? Ask the FBGs: What Are a Few Good Cardio Only Workout DVDs? Today we’re featuring an Ask the FBGs post. This feature allows readers like you to ask the FBGs for advice. Nothing is off limits, although we do prefer that it’s fitness or nutrition related, so send your undying health questions to AsktheFBGs@fitbottomedgirls.com. You just might see them posted on the site in the future! I am rather sad. I was in love with Billy Blanks’ old-school Advanced Tae Bo workout. Unfortunately, it is only available on VHS—at least from what I’ve found. I loved it because it was an excellent, pure cardio workout with some abs at the end. I have been desperately searching for a cardio DVD that is comparable in intensity and difficulty but have not yet found one. 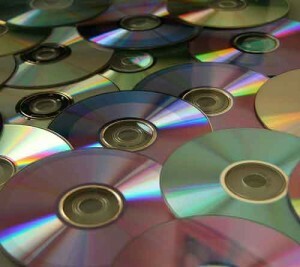 So many DVDs today seem to be a mix of cardio and strength. But, I already have the strength taken care of. Plus, I usually enjoy going out for a run if it’s nice, but, again, am lacking cardio for when it’s yucky outside. I am definitely not opposed to dance workouts, although I would prefer ones that do not require props. I was a huge fan of Paula Abdul’s dance workout back in the day, so workouts that are similar to that style would probably be fun. Do you have any recommendations for some good cardio DVDs? Preferably similar to Advanced Tae Bo? We must be workout DVD twins, Nicole. I so remember that Advanced Tae Bo workout tape, and it was awesome. And Paula Abdul workouts? I’m ALWAYS a fan. I do get your dilemma though. So many DVDs make double-duty of strength and cardio, which can be great if you’re only working out a few times a week and need to make the most of your time, but if you already have your own strength workout going on and are just looking to get your heart rate up, you need more options. After all, sometimes a girl just needs straight cardio! Here are our top workout DVD picks for just that! 1. Core Fusion Cardio. 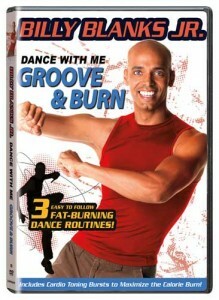 Although this cardio workout DVD does have one segment that uses light weights, it’s mostly good heart-pumpin’ cardio. 2. Jillian Michael’s Banish Fat, Boost Metabolism. With drills that get you sweatin’ and possibly even cursing, this is a fantastic cardio workout DVD. 3. Martial Fusion. A little kickboxing, a little dance and a whole lot of cardio in this workout DVD! 4. Billy Blanks Jr.’s Dance With Me Groove & Burn. With a variety of dance styles and fun tunes, you’ll shake your groove thing with Billy Blanks Jr. in this dance DVD and burn some calories. From Billy Blanks to Billy Blanks Jr., talk about coming full circle with your cardio! 5. Tribal Energy Cardio. Another dance workout DVD, this low-budget cardio workout DVD is fun and a nice change of pace from the usual aerobic dance steps. So don’t be sad. Get happy with these tried-and-true cardio workout DVD choices! That’s a great question. It seems so many tapes are strength focused now that it’s hard to find good ole’ fashioned cardio. Thanks! I was also a fan of the Tae Bo advanced videos. I’d add the following to the list above: the Turbo Jam dvds (most are a really good cardio workout), most dvds by Amy Bento (Kickbox Extreme, In The Ring) and Tae Bo Billy’s Favorite Moves, which is a high intensity but slightly shorter (40 minute) workout. The newest Tae Bo videos, Ripped Extreme and Cardio Inferno are also pretty good. Ultimate Tae Bo is a 90 minute workout that is relatively high intensity as well. I do my weights on seperate days too and it is hard to find pure cardio.I hate dance cardio so it is even harder!!! She also does a pure cardio and cardio no excuses dvd’s from the peak fit series that are very good as well(slightly shorter). Cathe Friedrich has some good high intensity (less than 30 mins) dvd’s as well which I like. One other that has about 40 mins of pure cardio is Nell McAndrew Peak Energy (I skip the added toning section and its simple and pretty nuch non stop)I wish someone would make some more non stop cardio without the toning or weights! What dvds would you suggest for beginners who LOVE cardio? Insanity is crazy cardio! But not for the faint hearted or beginner. I also love Zumba for some dance cardio. I do think people go a bit cardio crazy, especially women and they think that all they need to do is run on a treadmill for an hour and see results. From my personal experience the best results come from interval training. Think one minute sprints in between functional exercises and plyometrics. A sprinter will always have a better body than a runner. Always mixing it up is important also. Hi! Can you do an updated list please?